Welcome to Modern Health Chiropractic & Wellness. Located downtown St. Catharines, we provide services to help families in our community get well and stay well. The health within our community is quickly deteriorating. Our new perceived normal includes alarming rates of chronic illness, overdependence on drugs and medications, sky-high rates of childhood illness and an inability to cope with daily stress. At Modern Health Chiropractic & Wellness we serve to elevate health, restore happiness and vitalistic inspiration to families and awaken the game changing, self-healing power within each and every one of us. Dr. Christen Schutt, B.A., D.C.
Dr. Christen Schutt was born and raised in Sudbury, Ontario. She was introduced to chiropractic while pursuing her BA in Community Health at Brock University. She began working as a chiropractic assistant during her summer holidays and fell in love with the chiropractic profession. Upon completion of her undergraduate studies at Brock University she attended Palmer Chiropractic College in Port Orange, Florida. 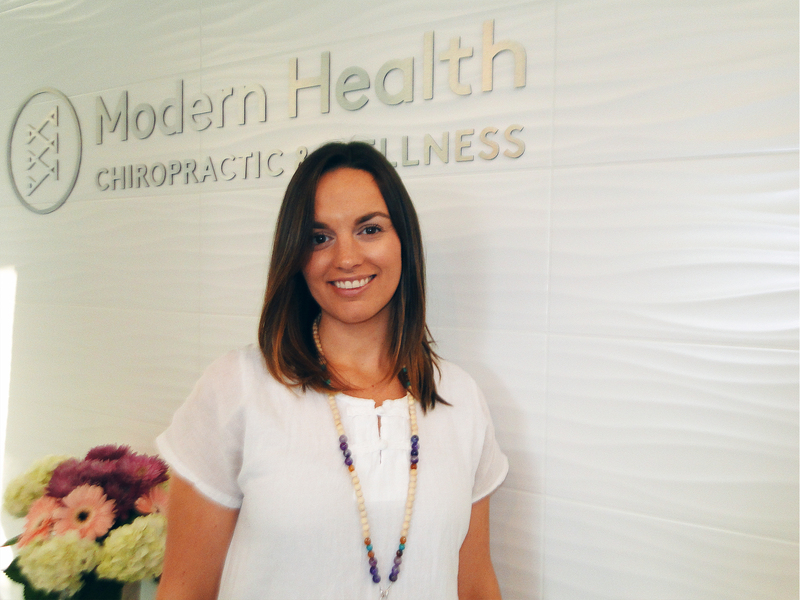 Dr. Schutt returned to the Niagara Region to begin her practice and opened Modern Health Chiropractic in September 2016 following two years of practice in the area. Dr. Schutt helps her patients to achieve health and wellness through addressing the root cause of the problem: dysfunction of the nervous system. She uses several techniques in practice including Gonstead, Diversified, Thompson, Applied Kinesiology, Pettibon and Kinesiotape. Dr. Schutt also incorporates nutrition, supplementation, physical activity and stress reduction in her practice to address specific needs and goals for each patient. With a holistic approach to care and a great team offering complimentary services patients are able to achieve optimal results and achieve new health heights. Dr. Schutt is extremely passionate about health and helping her patients reach their personal goals. 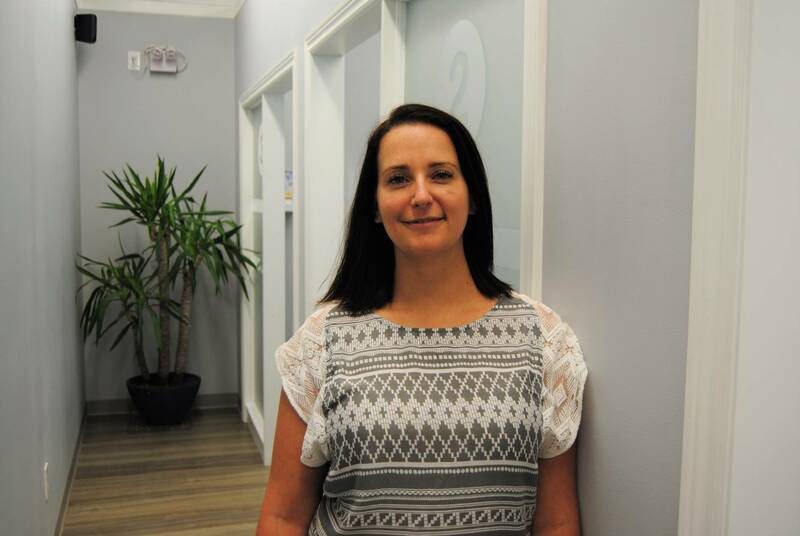 She feels it is her requirement to help guide the chiropractic profession in a positive direction and does so by volunteering her time at Quest Community Health Centre in St. Catharines. Dr. Schutt also holds several free screening events within the community throughout the year. Dr. Patricia Arcuri is a licensed Naturopathic Doctor and life-long resident of the Niagara Region. She completed her naturopathic studies at the Canadian College of Naturopathic Medicine in Toronto, Ontario. Prior to her medical training, she completed a four-year degree in Biological Sciences at the State University of New York at Buffalo. With a strong scientific background and holistic approach to care, Dr. Arcuri is committed to helping you achieve wellness naturally. Dr. Arcuri is a dedicated and caring individual whose passion is fueled by her own personal health journey with naturopathic medicine. She believes that good health is the foundation to a happy, fulfilling life, which is why it is her goal to help you become the healthiest version of yourself. Whether you want more energy, less stress, better digestion or fewer aches and pains, Dr. Arcuri will work with you to optimize your health through a plan that is customized to you and your lifestyle. Her intention is to help you better understand your current state of health so that you can make informed decisions about the care you receive and gain solutions that will help you feel well and live well. Dr. Arcuri maintains a general practice with a special interest in digestive health, hormonal imbalances and skin health. She offers a variety of therapies including nutritional counselling, acupuncture, bioidentical hormone therapy, comprehensive lab testing and more. She is an active member, in good standing, with the College of Naturopaths of Ontario and has met the Standard of Practice for prescribing in Ontario. She is also a member of the Ontario Association of Naturopathic Doctors (OAND) and Canadian Association of Naturopathic Doctors (CAND). In her spare time, Dr. Arcuri enjoys exploring the outdoors, hiking with her dog, travelling, and spending time with family and friends. To learn more about the services that Dr. Arcuri offers, visit her website at www.patriciaarcuri.ca. After attending college for Massage Therapy, Genevieve registered with the College of Massage Therapists of Ontario in 2007. Since then she has worked in spas, massage clinics, and multi-disciplinary practices. Genevieve has taken continuing education courses in Soft Tissue Release, Myofascial Release, Aromatouch, Bamboo Massage, Prenatal/Pregnancy Massage and RMT as Labour Support Provider and utilise these principles to best address the needs of each client. Genevieve incorporates Relaxation Massage into every treatment as she believes each body responds to deeper muscle techniques when relaxed. She sincerely loves her job and sees every treatment as an opportunity to improve someone else's day (or month, or year)! When she's not at the office, Genevieve divides her time between the cottage, reading, cooking, eating, walking her dog and paddling in a canoe! Born in Banff Alberta and raised in small town Weyburn, Sk, Katie has always had a passion for people, the outdoors and living life to the fullest. 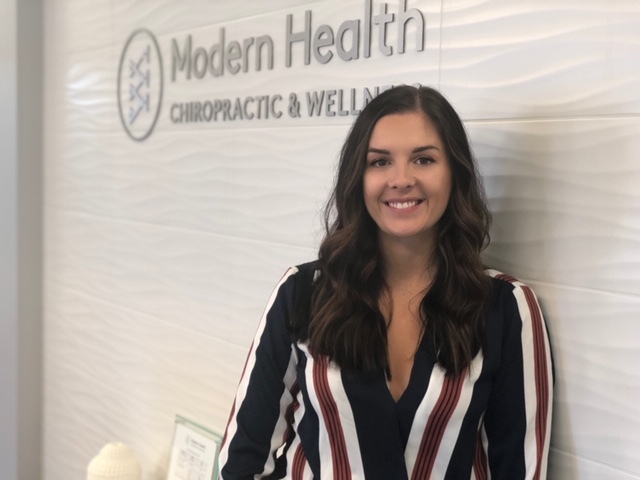 After graduating for the Western College of Remedial Massage Therapy in Regina, Katie moved back to Weyburn where she opened her own massage therapy practice. After running a busy business for 7 years, Katie made the move to St. Catharines with her boyfriend Gabriel for a fresh start and new beginings! Katie has always had a love for health and fitness and is enjoying all that beautiful Ontario has to offer. In her free time you can find her camping, hiking, spending time with her loved ones as well as volunteering with her "little sister" at the Big Brother Big Sister Association in St. Catharines. She loves to see people doing great and beneficial things for themselves and is overwhelmed with happiness to be working in a clinic with such smart, passionate and professional practioners who all have a positive impact on so many peoples lives. 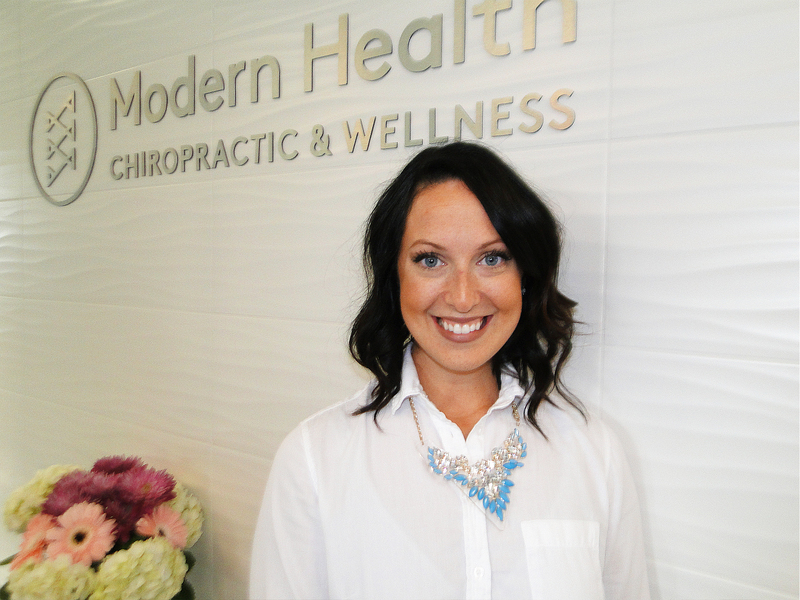 You can contact Katie at katie@modernhealthchiropractic.ca or at info@modernhealthchiropractic.ca for general inquiries. Born and raised in Niagara, with a background in Sociology and a passion for helping those in need, Meredith brings a nurturing and approachable vibe to her yoga classes. When she discovered yoga, it was like coming “home”, it was a place where she felt completely and utterly herself and was finally able to be present for life’s moments. Meredith creates classes that stretch and challenge the body, while helping her students to tap into the connection between mind, body and spirit. Her aim is to make her students aware of the common thread that unites us all together, both on and off the mat. She received her training in Classical Hatha style yoga while traveling in India, and loves to weave elements of pranayama and meditation throughout her class structure. Meredith’s whole attitude and outlook upon the world has changed since the integration of yoga philosophy in her own life, and her goal is to share these teachings with those looking to gain a bit more peace and serenity. Meredith invites you to come find and face challenges on your mat, so that you can live a more graceful and effortless life. For more information on Meredith's classes, see our monthly class schedule under the Modern Yogi tab!